February is a month full of fun and hope. 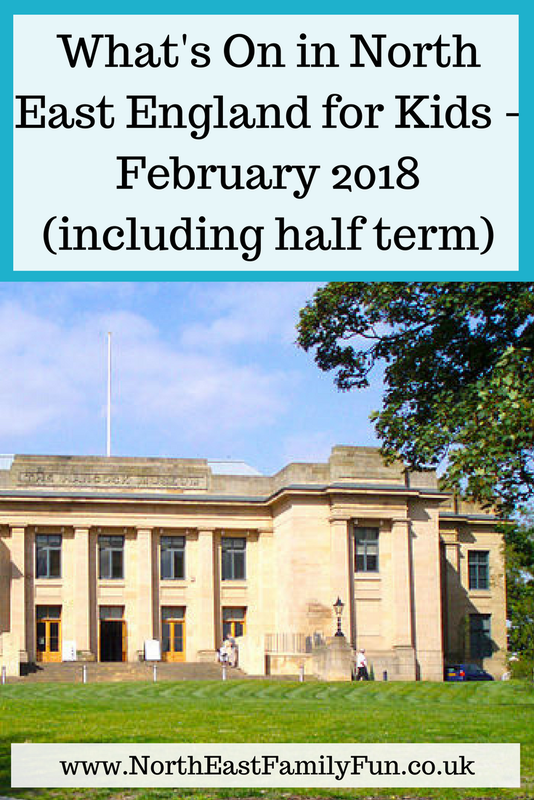 We have half-term to look forward to, pancake day and Valentine's Day too. Hopefully by the end of the month, Spring will be within touching distance too. As always, these events are subject to change so please always check details before heading out. Let me know in the comments what you're up to this month. 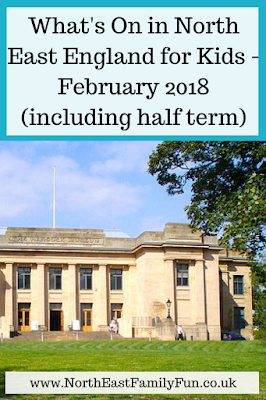 I'll update this guide throughout the month so please pop back and have a read. Let me know if I've missed any events and what you're up to this month. 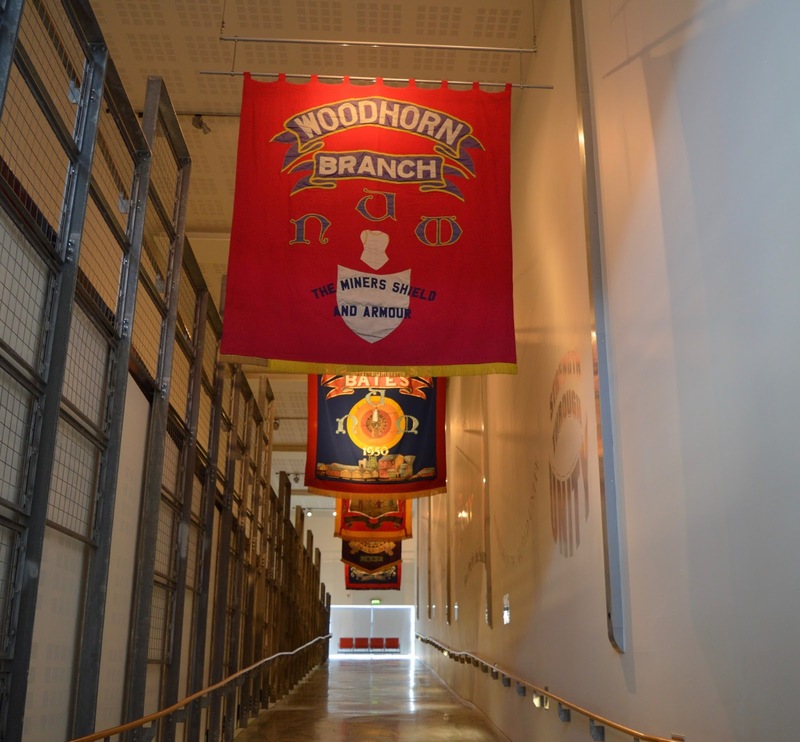 Woodhorn Charitable Trust, which incorporates Woodhorn Museum, Berwick Museum & Art Gallery, Morpeth Chantry Bagpipe Museum and Hexham Old Gaol, is launching a new Membership Scheme and Charging Policy from 10th February 2018 (just in time for February Half Term). This will hopefully encourage Northumberland residents & tourists to explore the county and utilise all of the museums that the Trust manages. 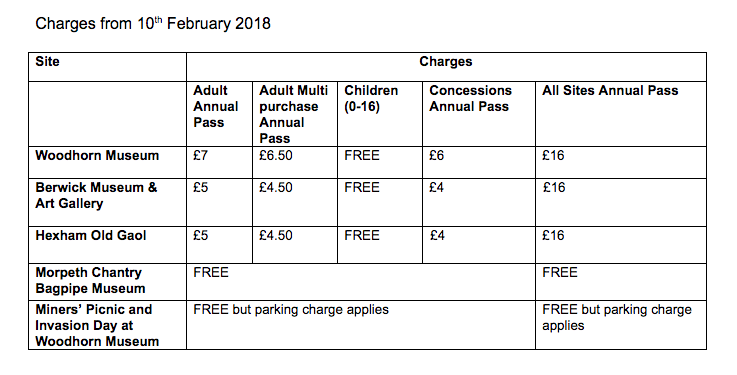 Normal parking charges at Woodhorn Museum will be removed and there will no longer be any admission charge payable for exhibitions at the former colliery site. 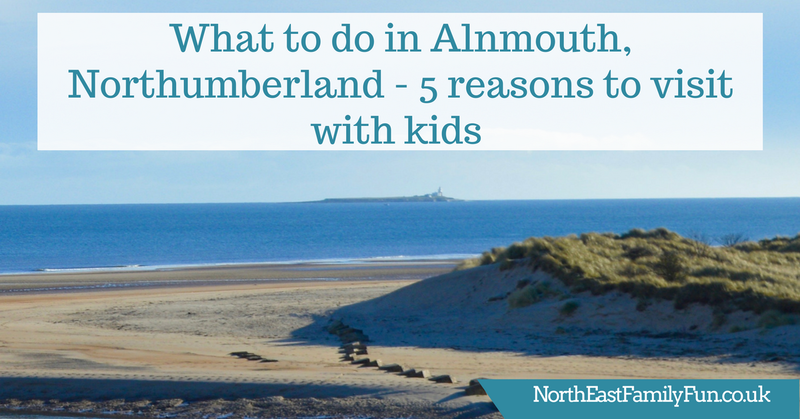 it's a FREE place to take the kids for a runabout and a picnic in the warmer months. will allow tourists who visit just once to make a greater contribution to the Trust’s work. The Trust has also committed to a free, annual, local community open day for each venue. 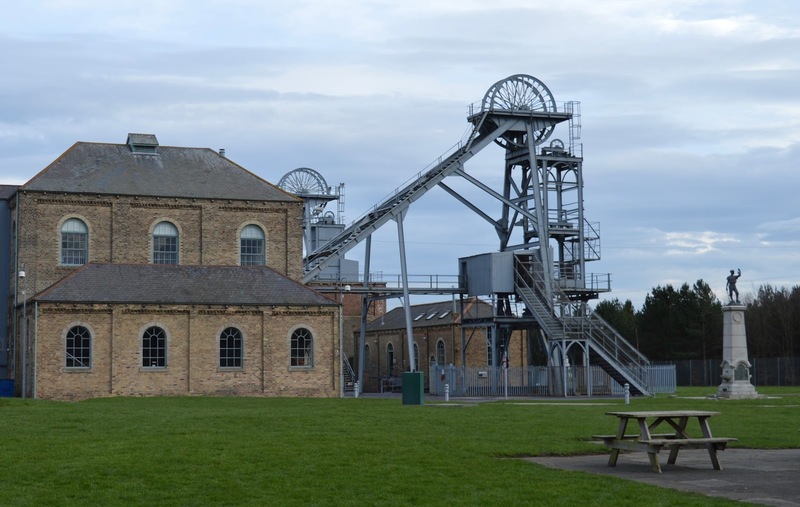 At Woodhorn, the annual Northumberland Miners’ Picnic and Invasion Day will continue with free admission, but a parking charge will be payable, as in previous years. to enter anyway as it's one of our favourite places to visit and have a potter or drink in the cafe. pop in more frequently as we drive past I think. 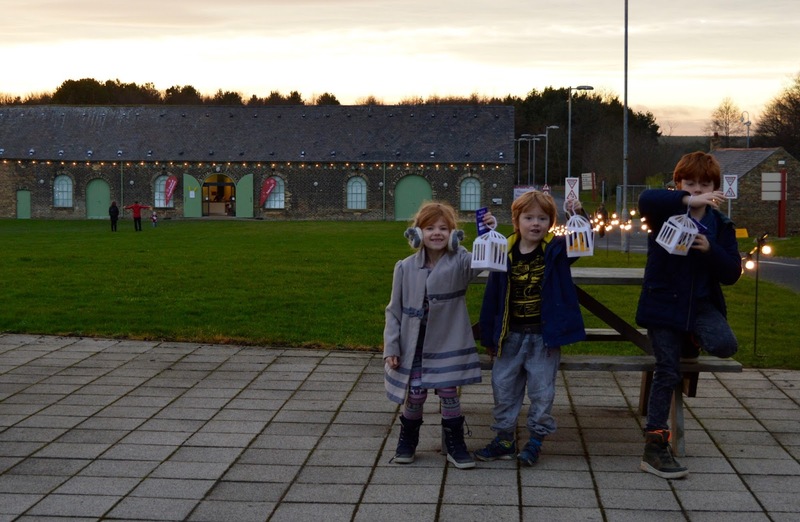 Raggy Beard's Pirate School, Treasure Hunts and Pirate Hat Crafts - sounds fab! 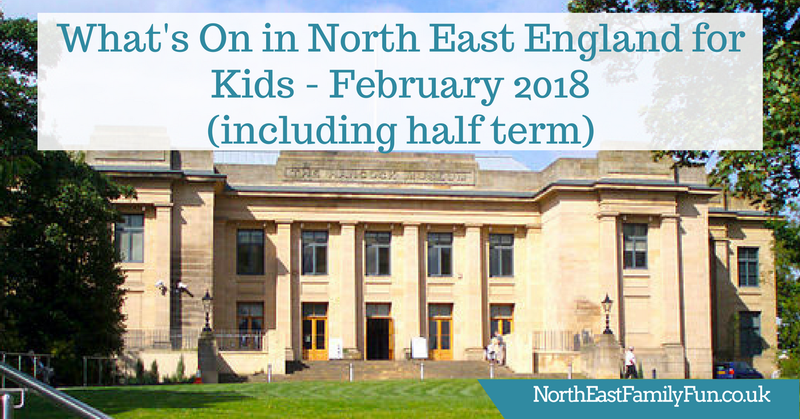 Welcome back to our new series where we explore what there is to do for kids in the towns and villages of Northumberland. 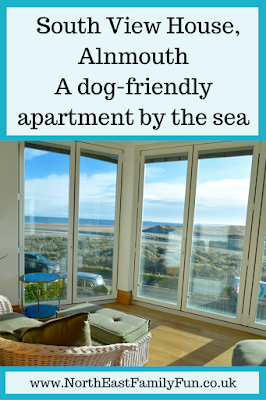 We've already posted about Cramlington and Felton and today's adventure takes us to Alnmouth where we recently stayed in the most gorgeous apartment through Walton Robinson. 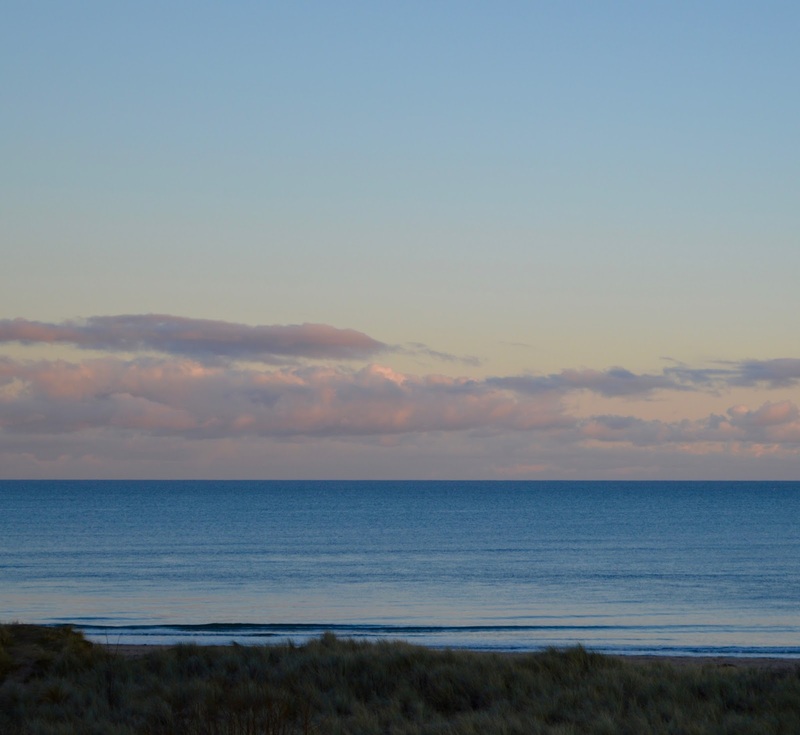 Alnmouth beach is absolutely stunning. It's super sandy and the sea is usually nice and calm meaning it's perfect for kids. The beach is popular with dog walkers and you'll often have it to yourself. It's the kind of place you can definitely take a picnic and spend all day. 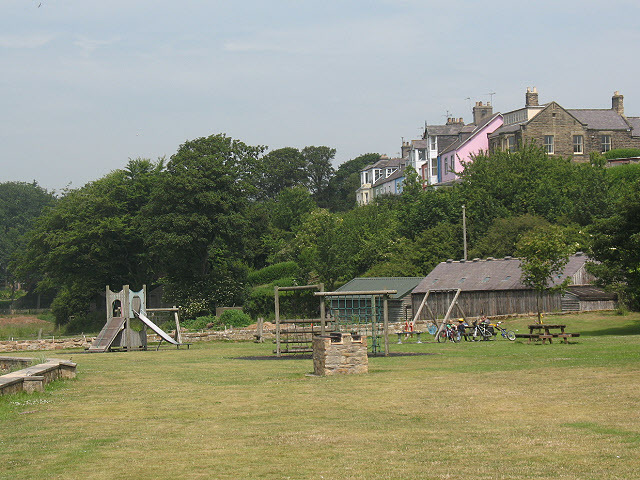 There's a fab little playground right by the beach and under the beautiful pastel coloured cottages. You'll find a communal BBQ area and lots of space on what's known as 'the village green' for picnics and games. 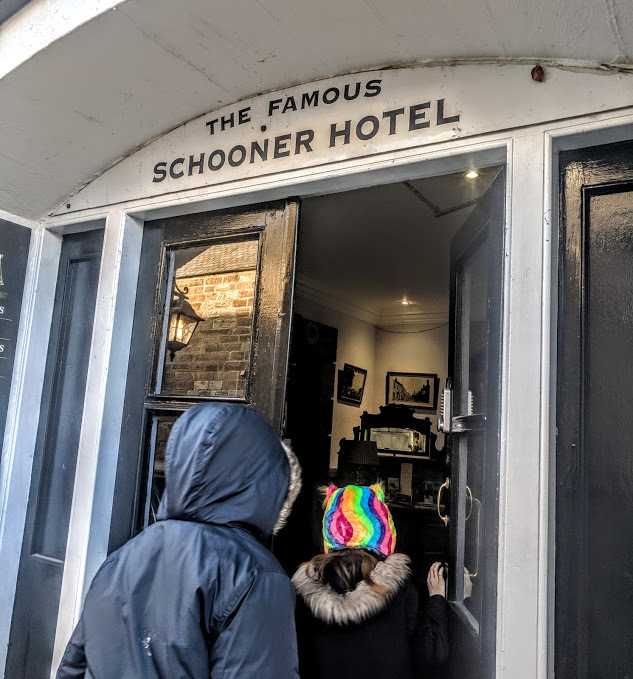 The Schooner Hotel sits on Alnmouth's main street. If you aren't stopping over, non-residents are free to enjoy the bar, lounge and restaurant where you'll find a pool table and darts board. There have been 60 recorded sightings of ghosts and ghouls in this hotel and it's featured on 'Most Haunted' twice. Spooky! 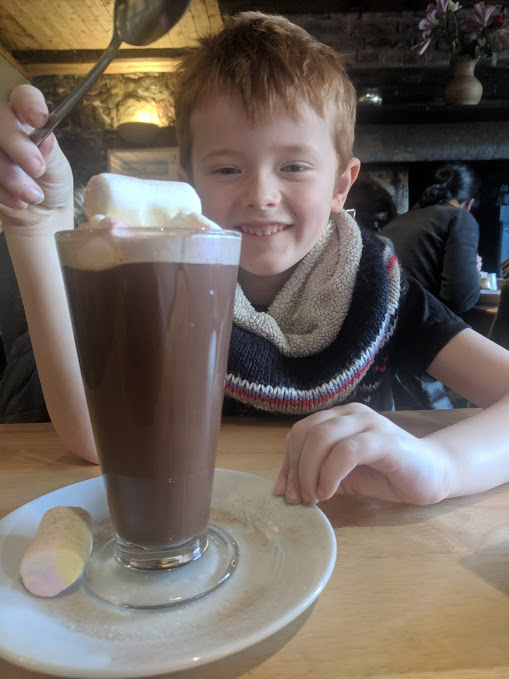 There are a couple of tearooms along the main street in Alnmouth serving the most delicious homemade cakes and epic hot chocolates. They can get busy though! 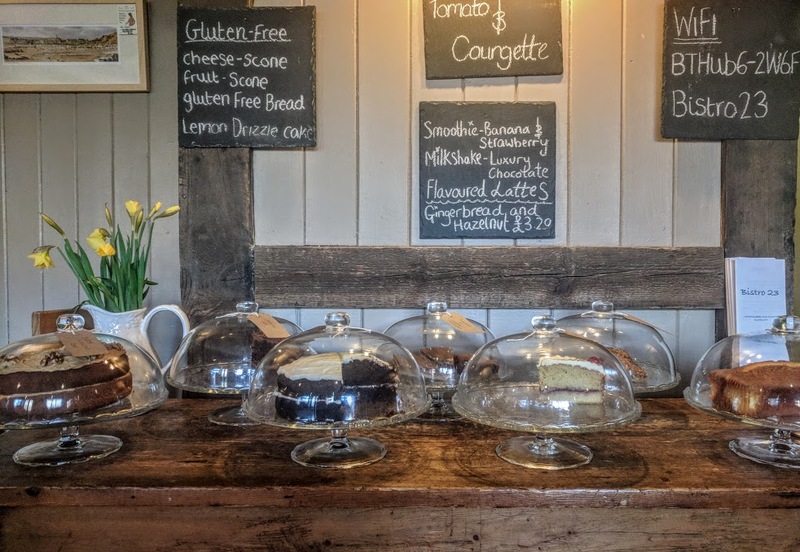 We've tried The Village Tearoom and Bistro 23 (pictured) and honestly can't pick a favourite! 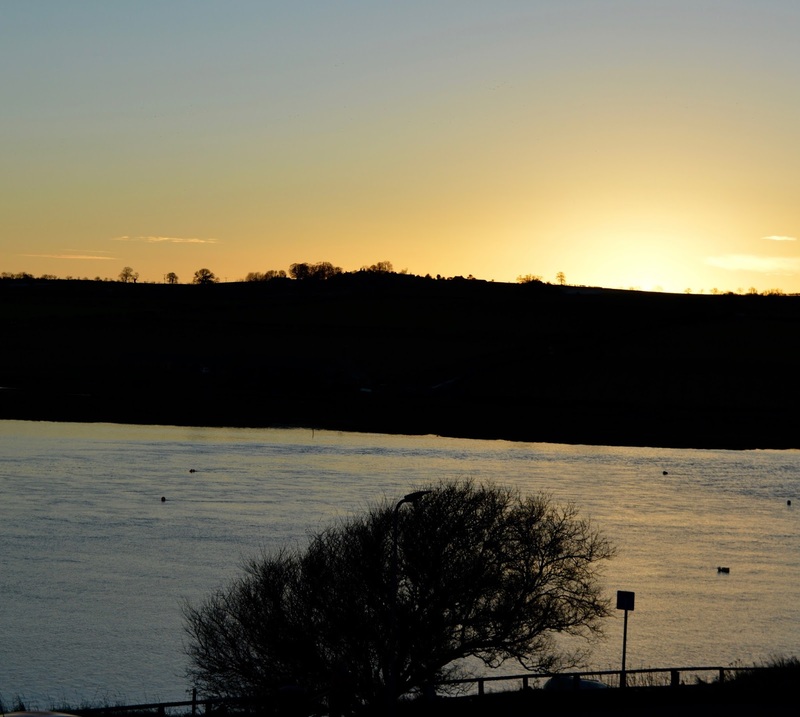 Walk or drive a few miles around the bay and then climb up Church Hill and you'll be rewarded with glorious views of Alnmouth Bay and countryside. 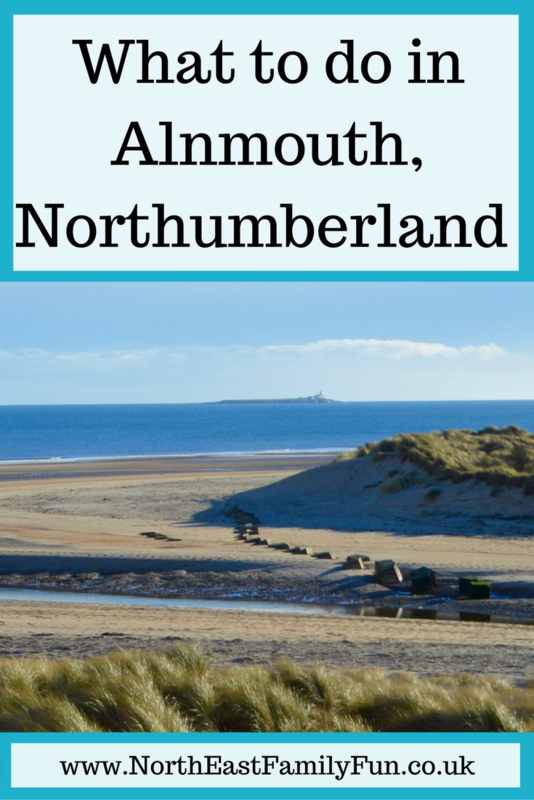 Have you ever visited Alnmouth? 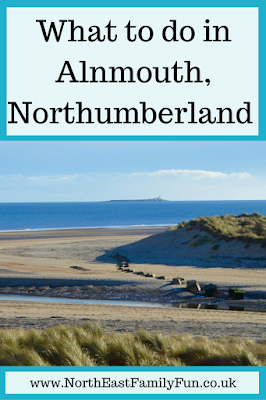 Let me know which town or village in Northumberland you'd like us to feature next. 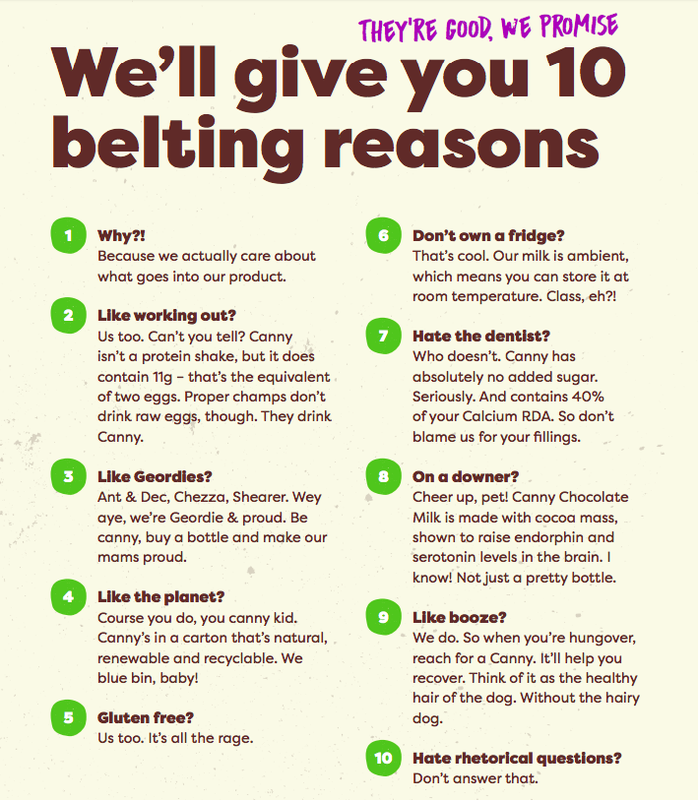 When you buy Canny Milk, you're supporting a lovely local brand and that tastes fantastic. 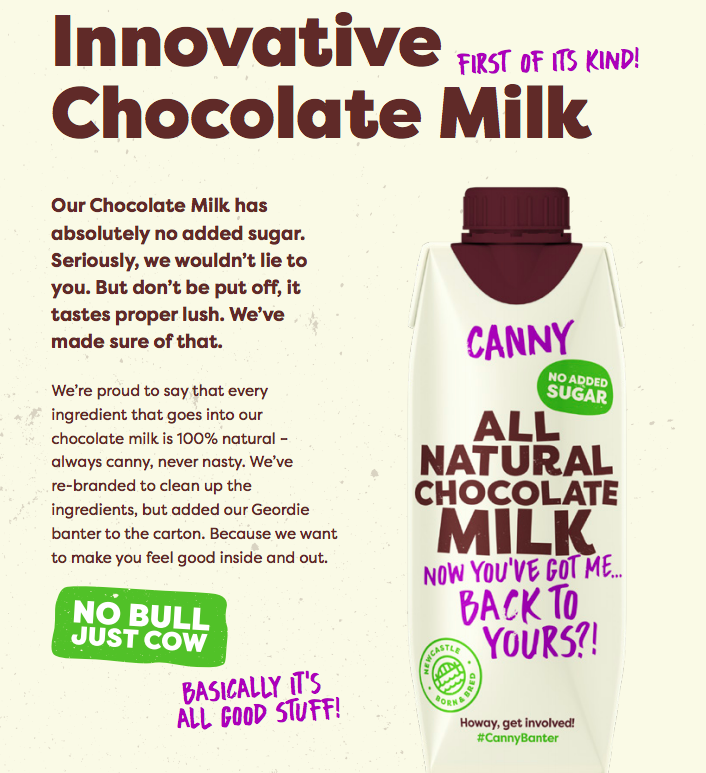 You can order the all natural chocolate milk online here with free delivery across the UK. I love that this milk has no added sugar yet still has a lovely chocolate taste. You don't need to keep it refrigerated either so it's perfect to pop in your bag when out and about. 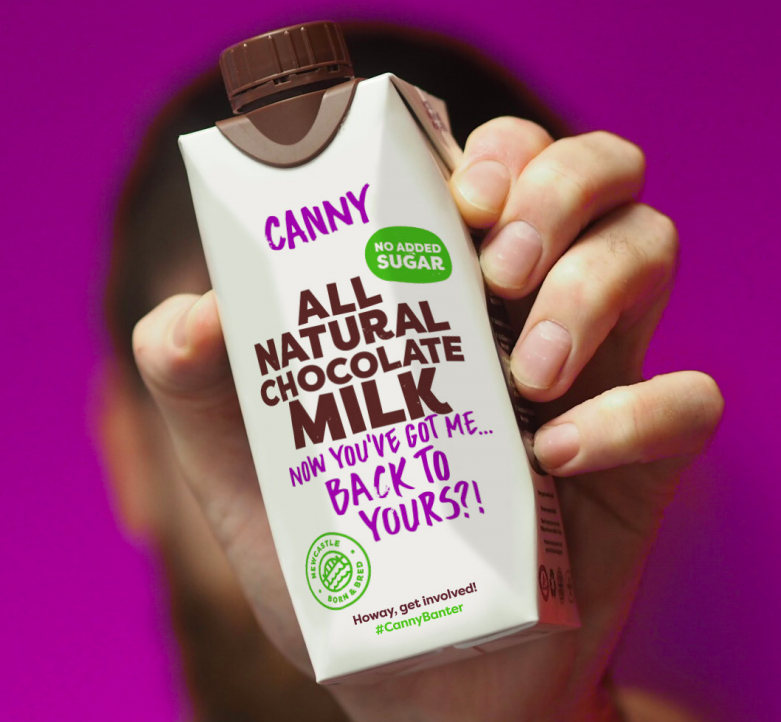 Canny has provided us with a box of Canny Chocolate Milk to giveaway to one lucky reader (that's 12 x 330ml bottles). Delivery to mainland UK is included, simply enter using the rafflecopter below. Good luck! 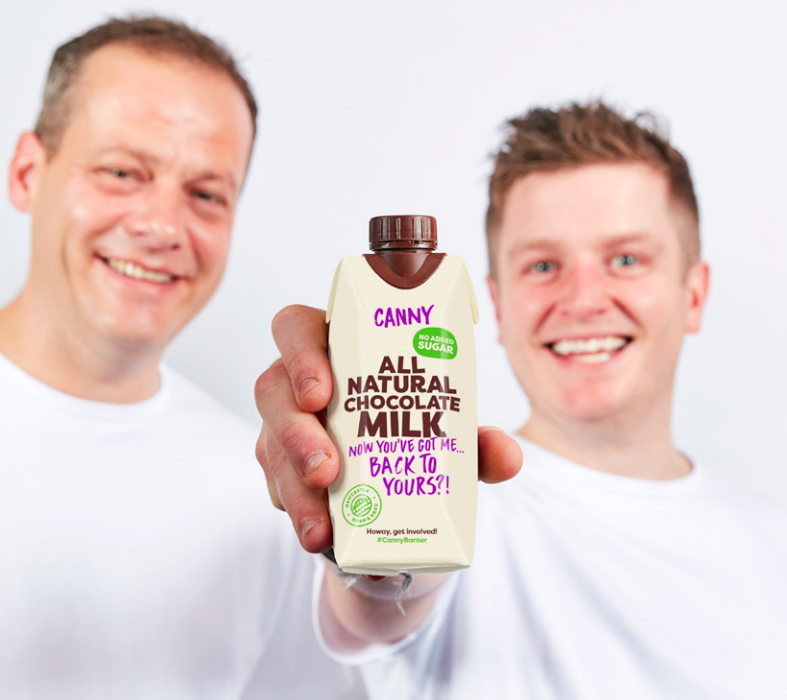 1 - Prize is 12 x 330 ml bottles of Canny Milk including delivery to any mainland UK address. 2 - Prize is non-transferable, there are no alternatives and refunds are not possible. 3 - Giveaway is open to UK residents aged 18+ and excludes employees of Canny and North East Family Fun. 4 - No purchase is necessary. 5 - Giveaway ends midnight Sunday 18 February 2018. One winner will be selected at random from all valid entries and notified via email. You have 28 days to respond to this email in order to claim your prize. 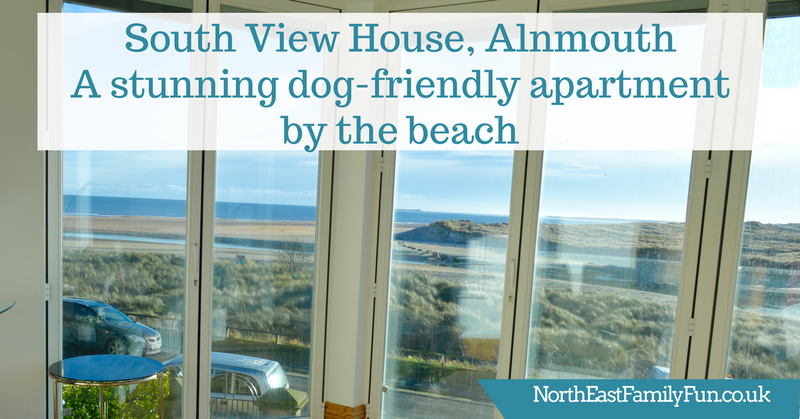 If you have yet to visit Alnmouth in Northumberland, you are missing a treat. 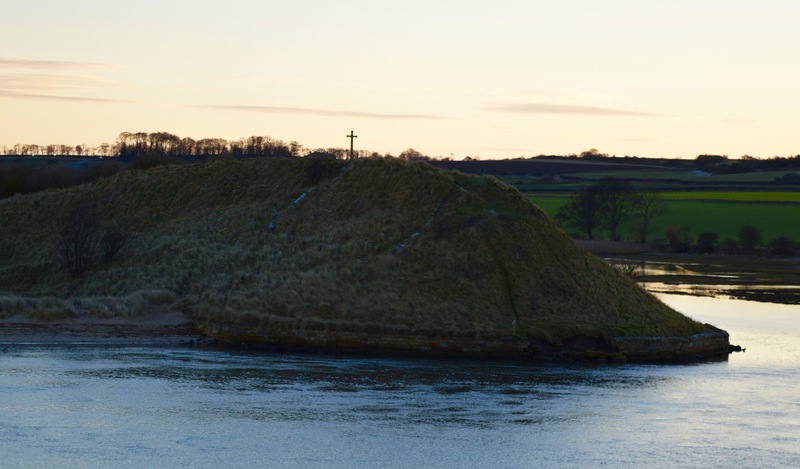 Situated just 4 miles East of Alnwick, this small coastal village has a population of less than 500 and is a lovely place to get away from the stresses of everyday life. 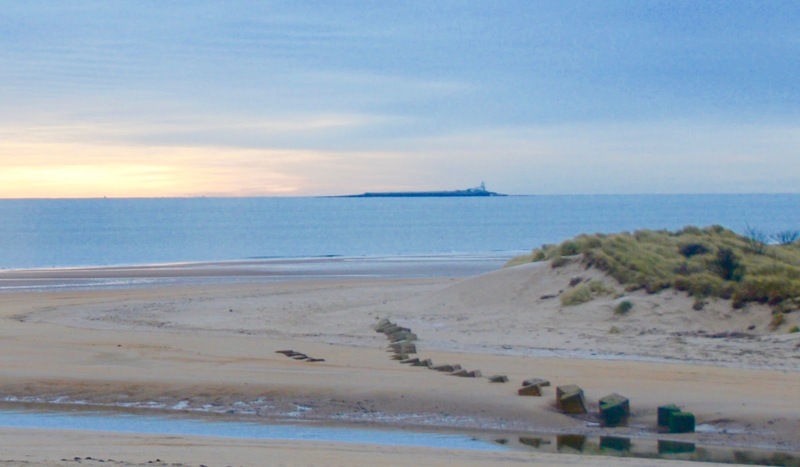 The beach is neverending and offers fantastic views out to Coquet Island and Alnmouth's main street is quaint and filled with beautiful tearooms, county pubs and fantastic restaurants (with seafood being a little bit of a speciality). 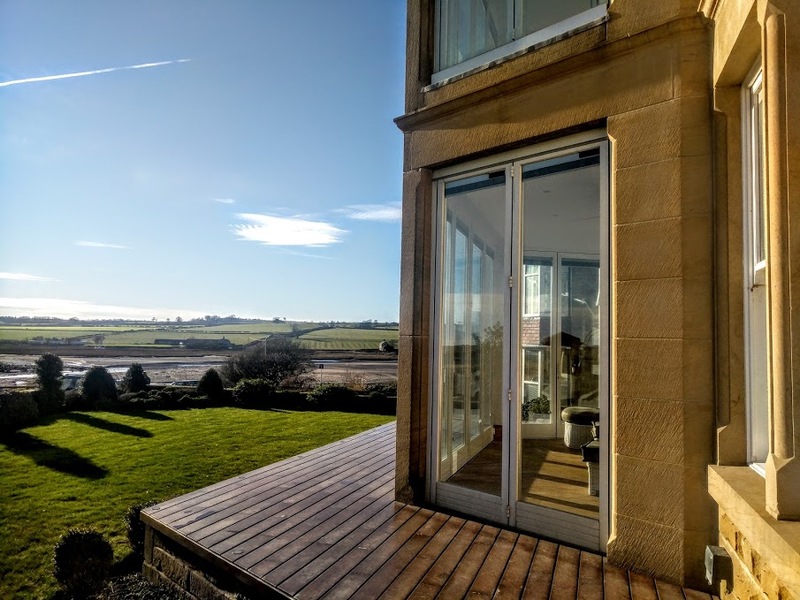 We were invited to spend the weekend in Alnmouth courtesy of Walton Robinson. 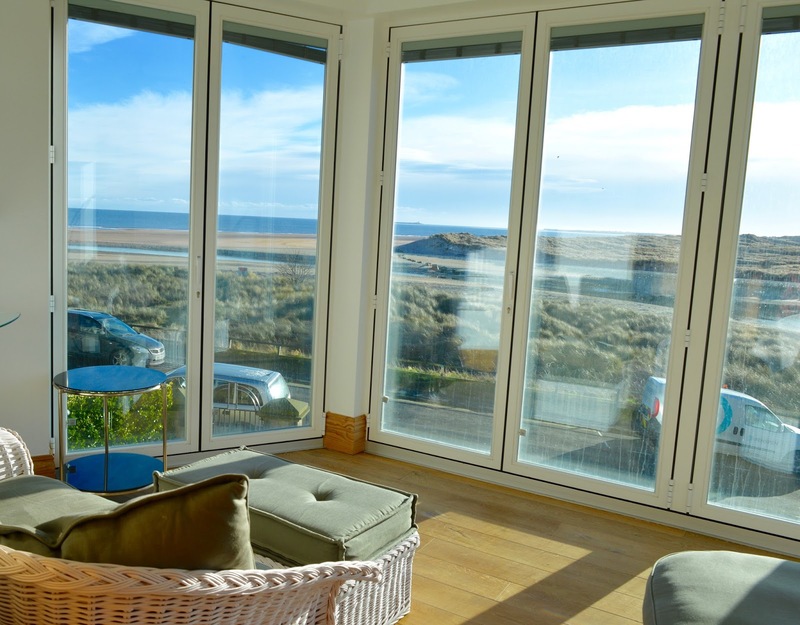 They let the gorgeous South View House for short breaks, holidays and long-terms lets. If you'd like information on availability, booking and the best prices and offers, email Chris@waltonrobinson.com for details. South View House was pretty easy to find, with ample free parking outside. Comprehensive self-check-in instructions were sent on arrival and check-in was hassle-free. I have to say as we opened the door to our first-floor apartment we were absolutely blown away by the size of this place. 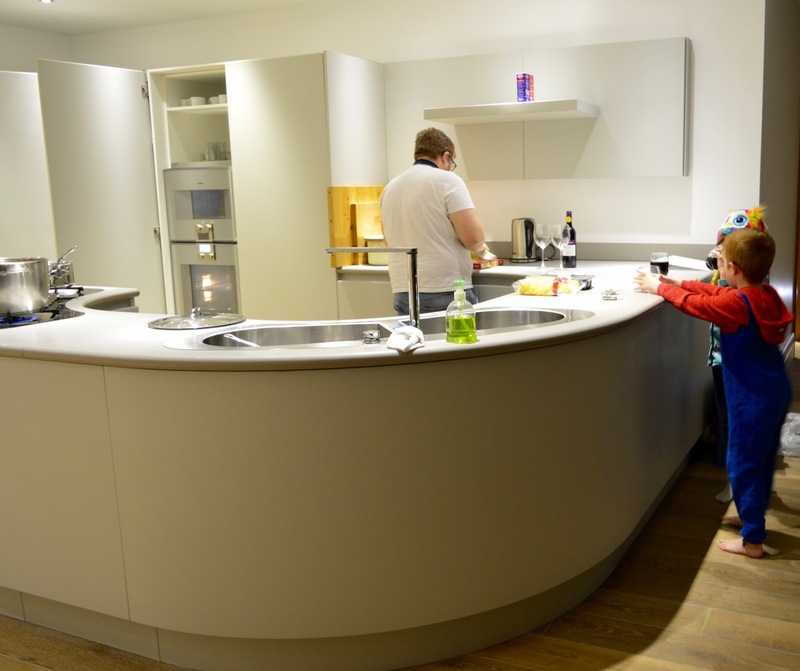 We are pretty sure the whole apartment was bigger than our house! We adored staying at South View House and I honestly nearly cried when we had to leave. It's the kind of place you dream about living and I was very sad to leave. If you're looking for a place to really treat your family, I can't recommend enough. I received a few messages over the weekend asking if this place was child-friendly and I can 1000% say it is. I'd be super happy to bring a toddler or baby here as well as my own children, it's quite minimalist so there's actually nothing they can break. 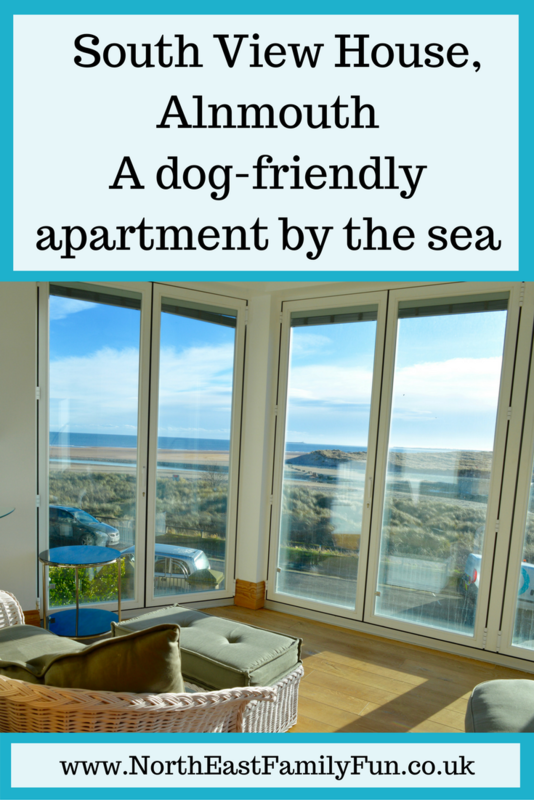 The apartment is also dog-friendly too. 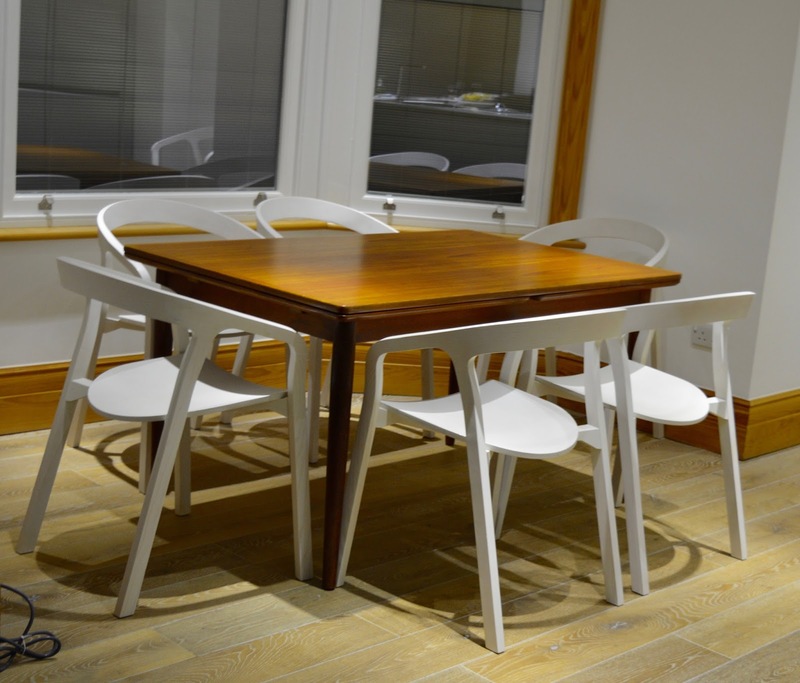 It's fair to say we fell head over heels in love with this property. 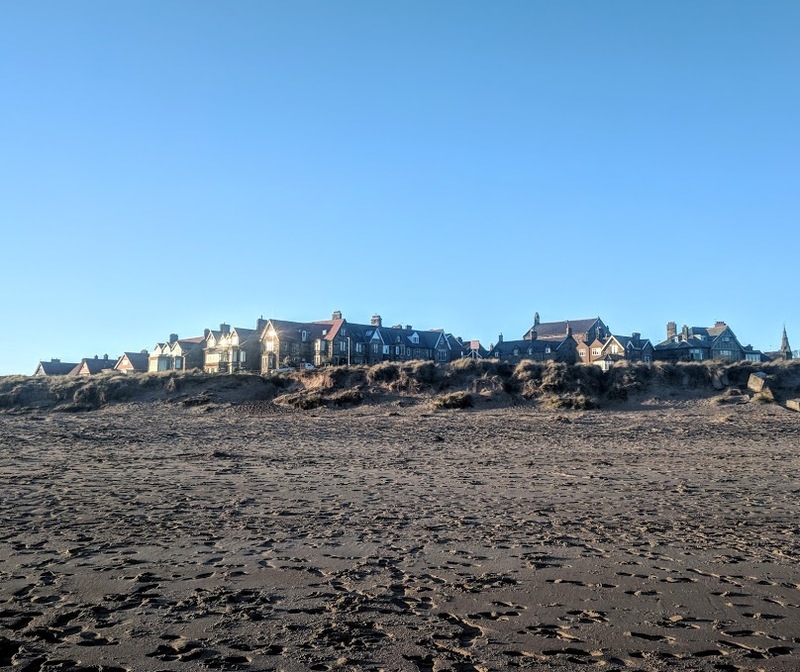 Regular readers will know it's our plan to retire by the sea someday and our mini break at South View House was able to give us a little peek into what this actually might be like. South View House is a first-floor apartment. 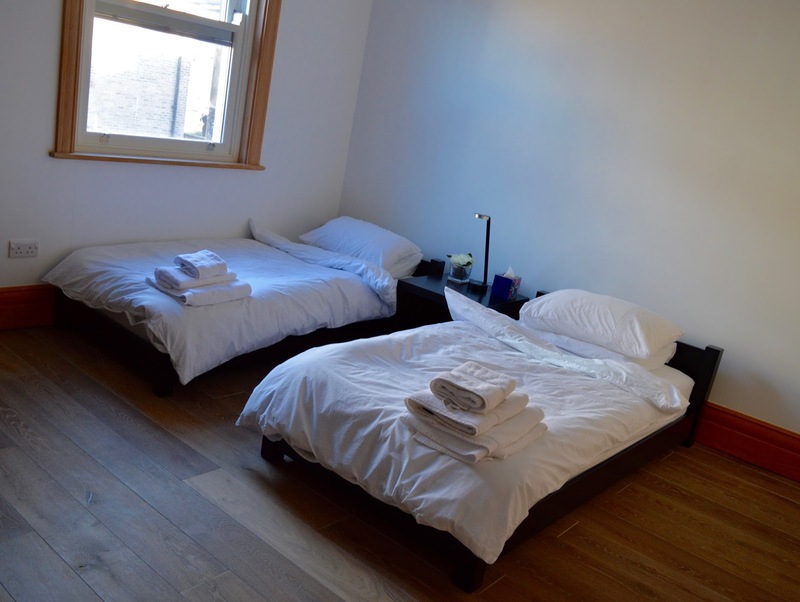 The apartment can sleep 6 across three bedrooms (one double, two twin). 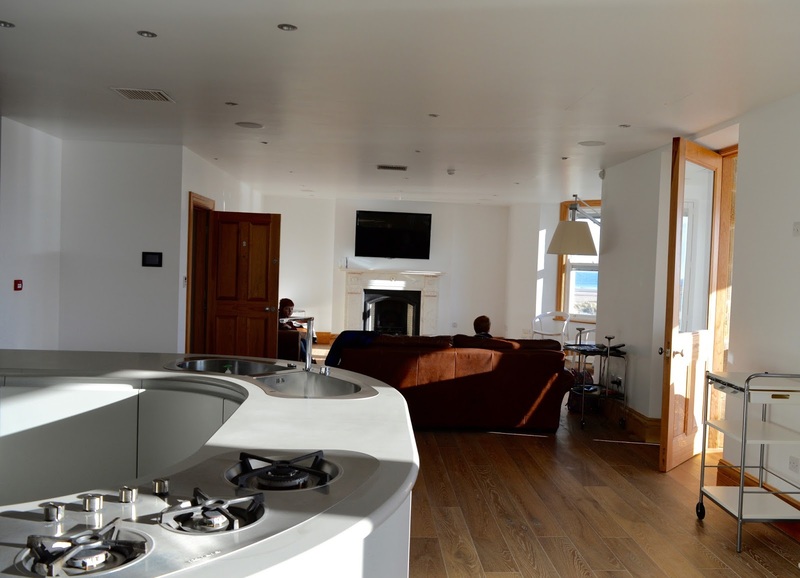 There's an open plan living, kitchen, dining area, three bathrooms, a utility room and a stunning sunroom overlooking the beach. There was more than enough space for us all. Every single room was large, bright and airy and it was nice and warm too. It was -2 outside but you'd never guess - we even had the balcony doors open at one point. 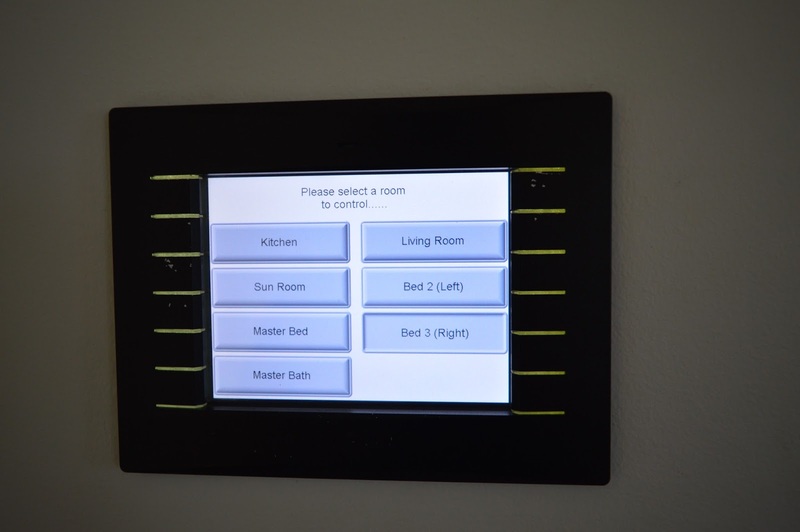 South View House is packed with technology - I've never stayed anywhere where technology is at the forefront of design like this. There are a couple of 'hubs' around the home and they basically control everything. 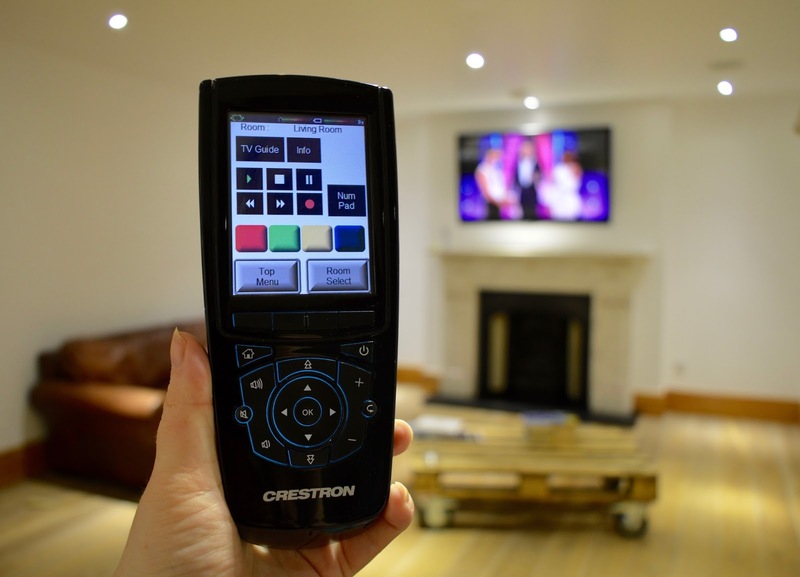 From closing the blinds in every room, to opening the bin, turning the speakers on (which are fitted in every room) to controlling the TVs, the temperature and the lighting in every room. If you love technology, you'll have lots of fun with all the tech and gadgets you can use here. We especially liked the lights that were integrated into the lower levels of the wall that automatically turned on as you walked past. Super practical when you're staying somewhere new or if you have kids who wake in the night to climb into your bed. 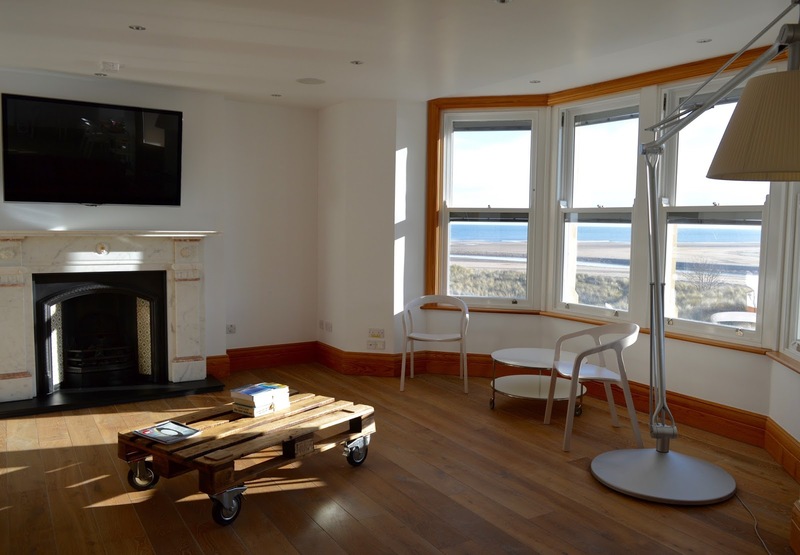 The main reason I loved this house was the stunning views of the Northumberland coast and estuary. 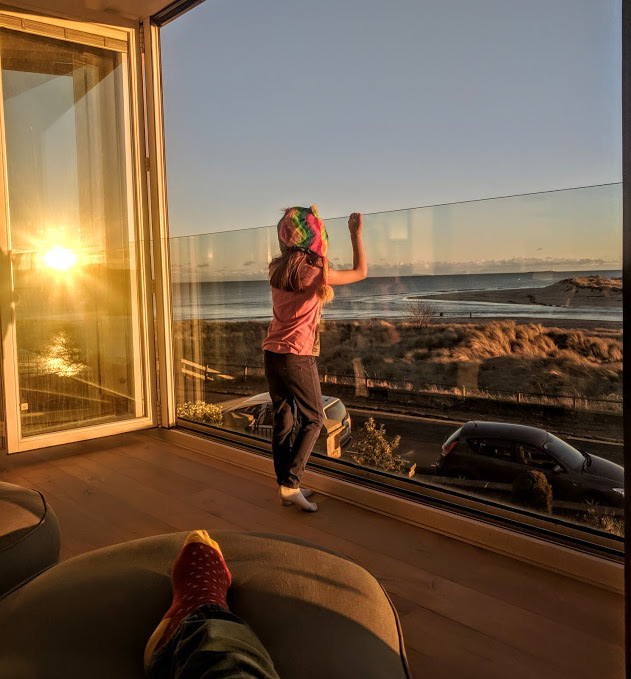 Sitting in the sunroom was an absolute joy at every time of day - from breakfast over sunrise, to beautiful blue skies in the afternoon and watching a wonderful sunset in the evening, it's a view I really don't think I'd ever tire of. There's plenty of comfortable seating in this room and sitting with a nice coffee and my feet up just watching the world go by was super relaxing. 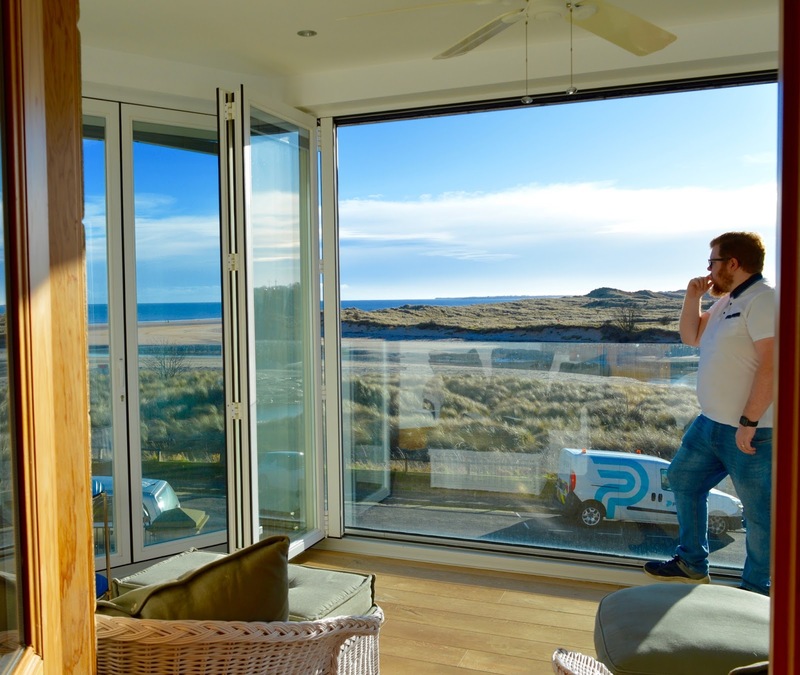 The sunroom captures the best views but you can also see the sea from the main living area and kitchen too. There's just something about a sea view that just makes you feel instantly happier I think. 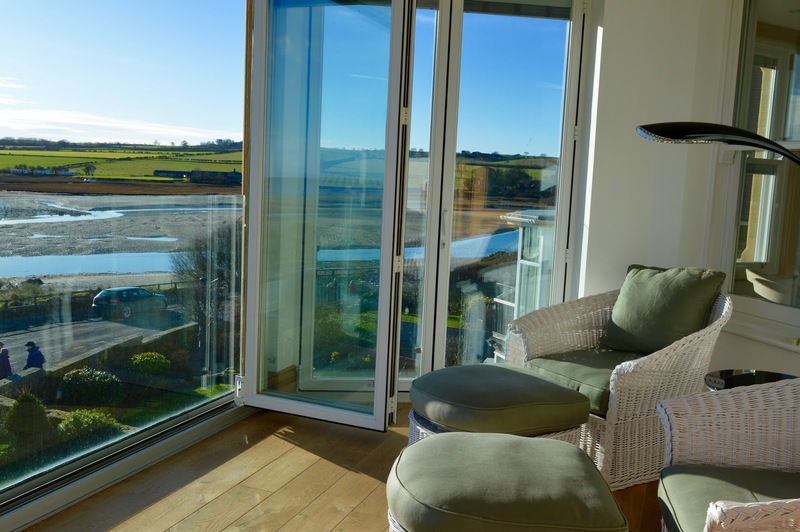 You can see South View House in the picture below which will hopefully give you some idea of just how close the apartment is to the beach. Literally, just a hop, skip and a jump away. Perfect for family walks, plodging in the sea, sunny days building sandcastles, do walks and lots of other adventures. 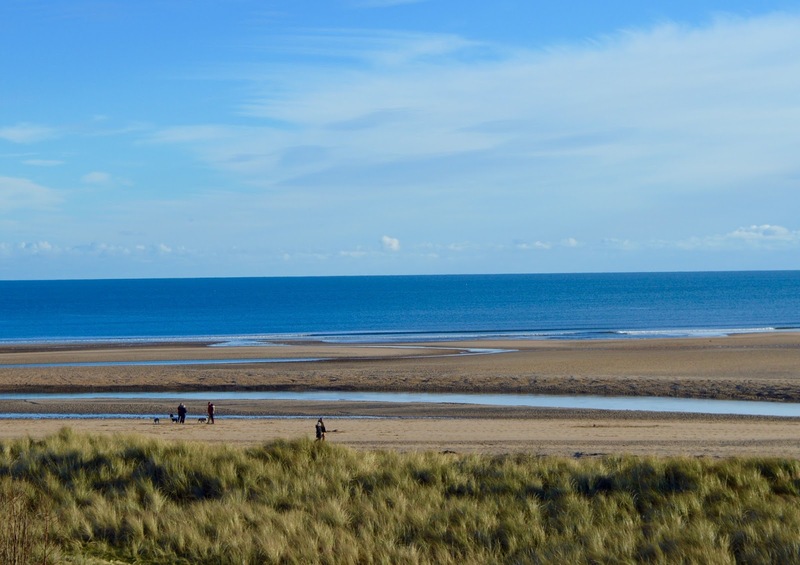 Alnmouth beach is one of my favourites in Northumberland. It's nice and sandy and clean and the sea is usually nice and calm too. 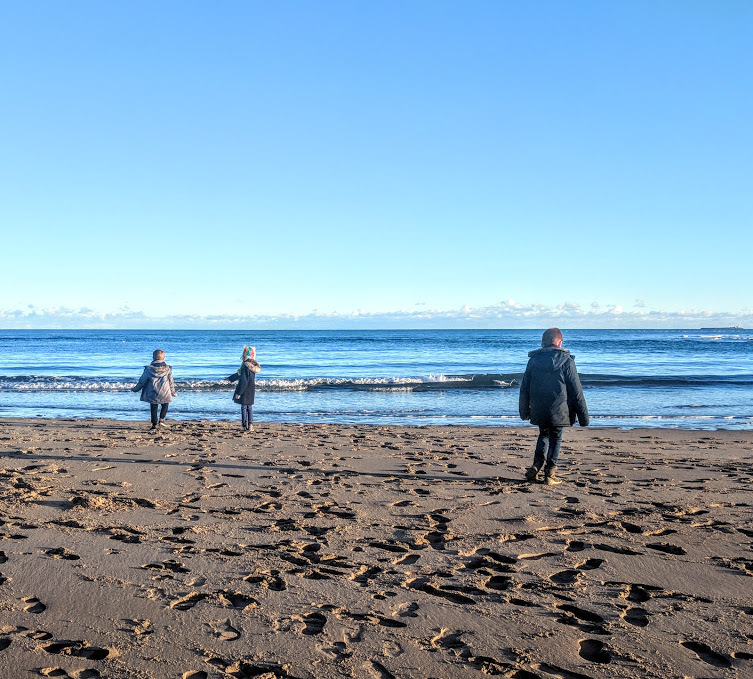 We braved below zero temperatures and still had a blast hunting for shells and skimming stones. 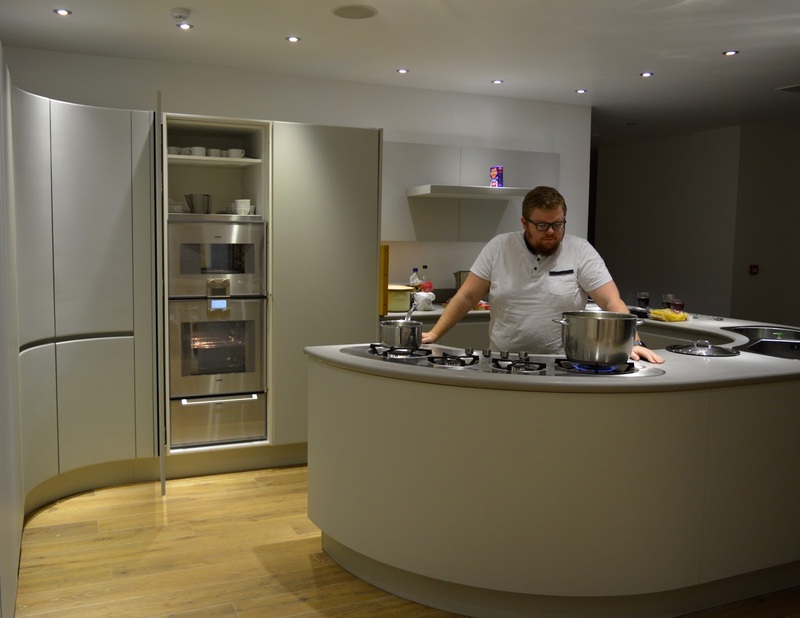 Steve is a bit of a budding chef and it's safe to say this is the best kitchen he's ever cooked in. 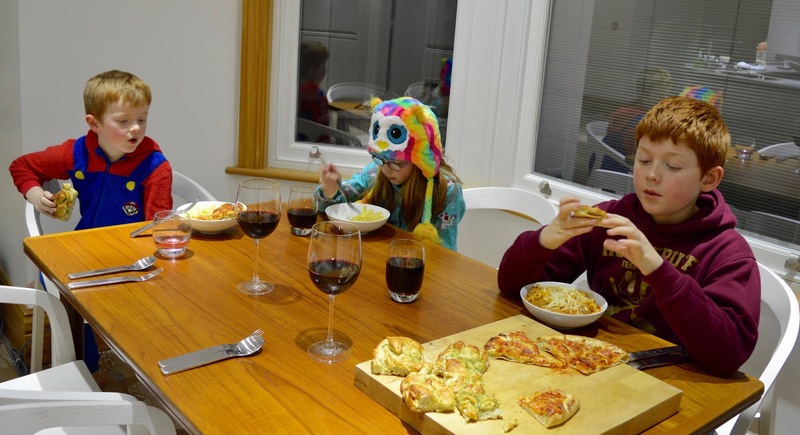 It's very well equipped with high-end utensils, crockery and pans and there's not one but two dishwashers which was a big help when cooking a big Italian family feast on Saturday night. 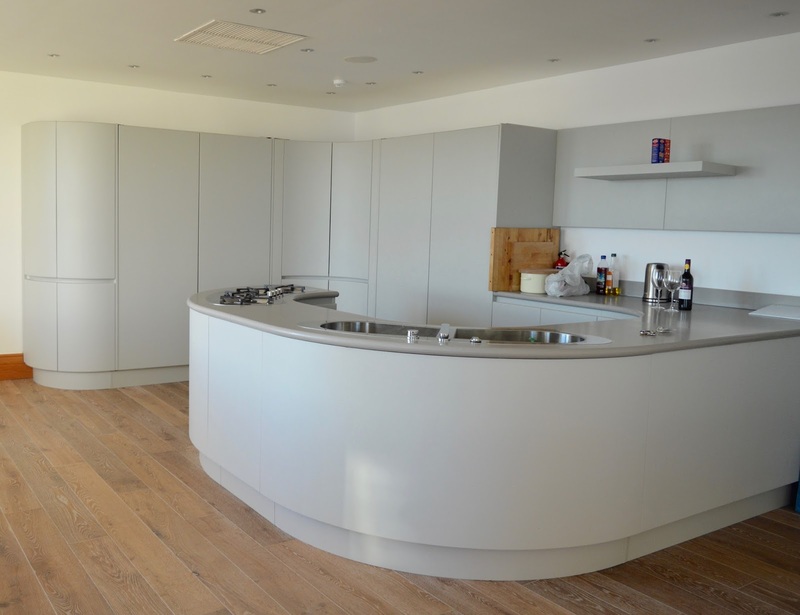 With integrated appliances too, this kitchen really was a dream to cook in. I imagine if we'd stayed here for a week we'd definitely be buying lots of delicious local food and staying in as much as going out. 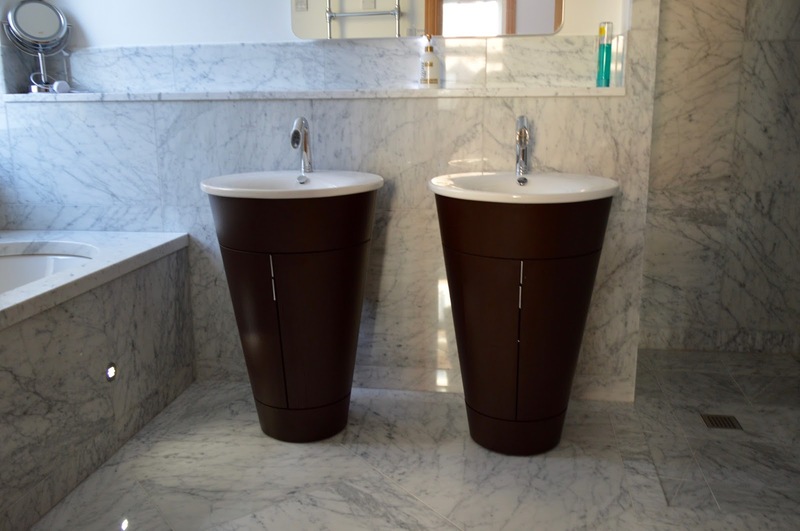 Often when we stay in apartments or cottages, the bathrooms are a bit of an after-thought but that's definitely not the case here. 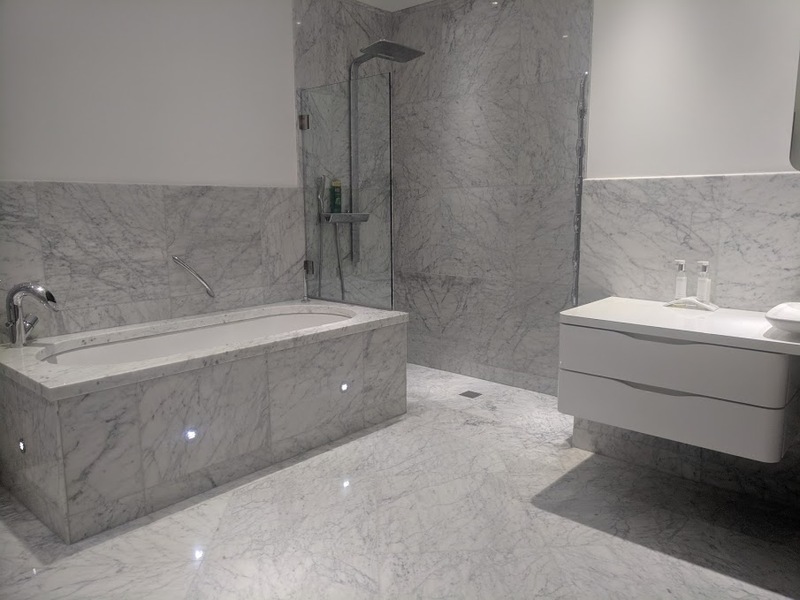 There are three bathrooms in total - one with a bath and shower and two with just showers. 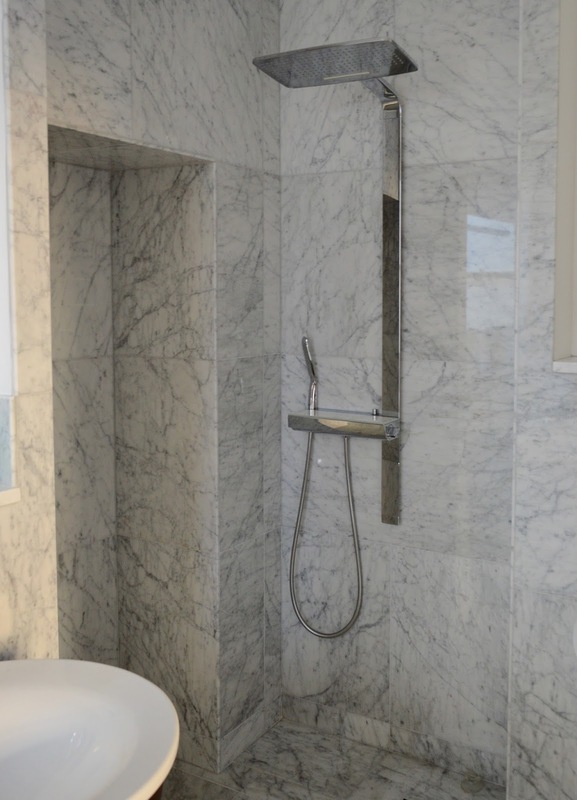 They are large, spacious and feel super high-end with their fancy taps, rain showers, double bathtub and marble finish. I managed to escape into the bath for 30 minutes before the kids found me and it was bliss. 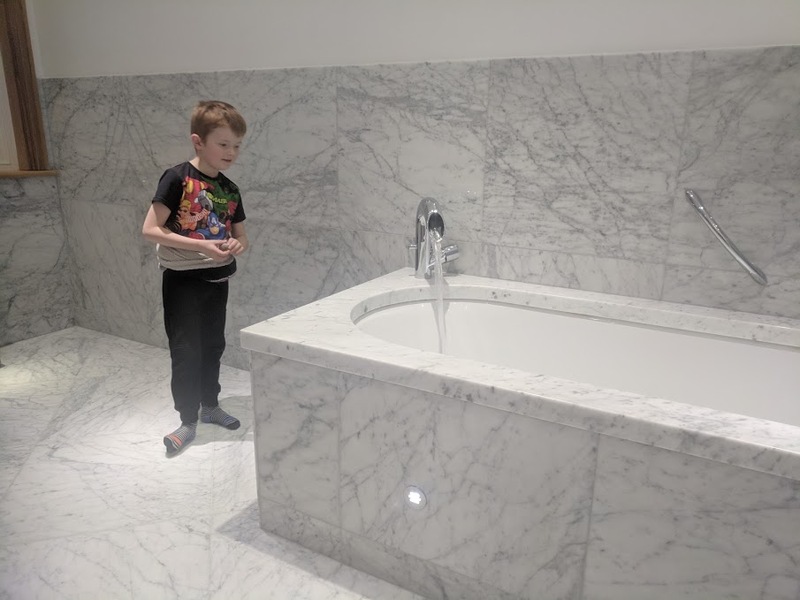 We loved our stay at South View House and it was perfect for us but I don't think it's for everyone - if you struggle with technology, I would not recommend staying here. There are instruction manuals but some of the settings can be confusing. We turned off the TV to go to bed and could not figure out how to stop the sound playing through the ceiling speakers. 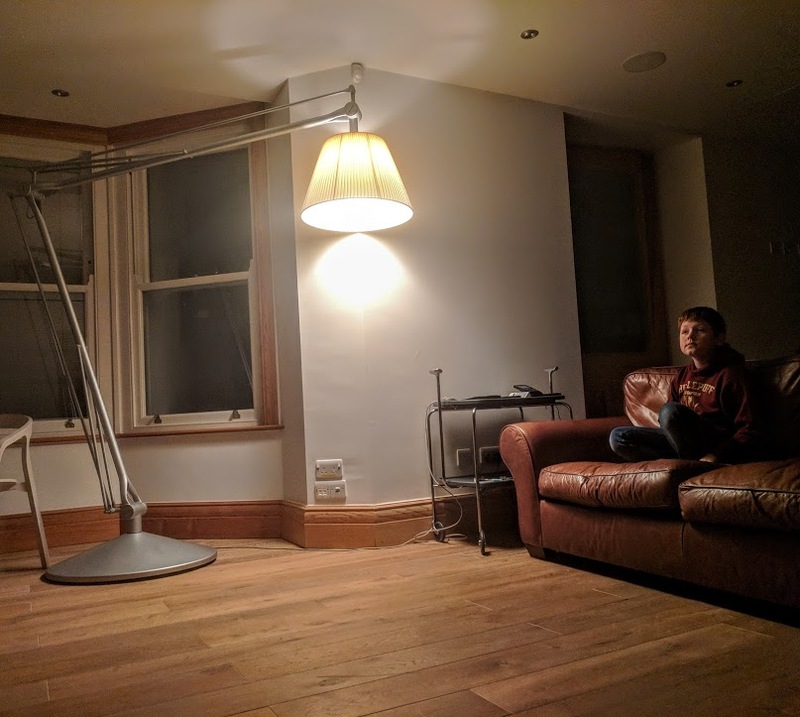 We got there in the end but if you're the type of person who isn't a fan of modern technology, I don't think this house is for you. If you like clean, minimalist design that's aesthetically pleasing, you'll love South View House but I do think this meant the apartment is sometimes lacking in home comforts - there are no cushions on the sofas or curtains (only blinds) so if you're looking for somewhere cosy over somewhere modern, again this apartment probably isn't for you. 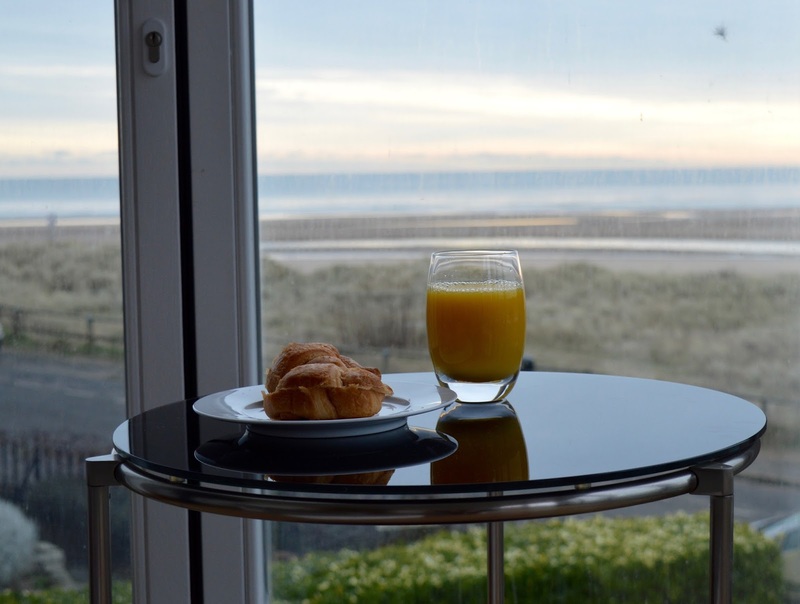 If you're looking for a luxurious, spacious and modern apartment to use as a base to explore Northumberland with lots of mod-cons, spectacular coastal views, free-parking and is dog and child-friendly with a handful of tearooms, pubs and restaurants on your doorstep, South View House in Alnmouth ticks all of those boxes and more. I know it's going to be somewhere I recommend to people a lot over the next few years. We stayed in the first floor apartment. 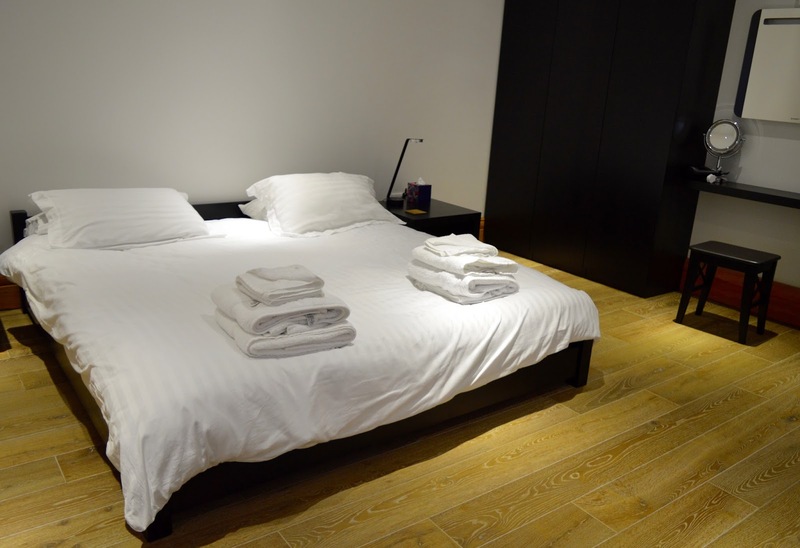 You can also stay in the Penthouse suite or ground floor apartment which are furnished to the same high standard. 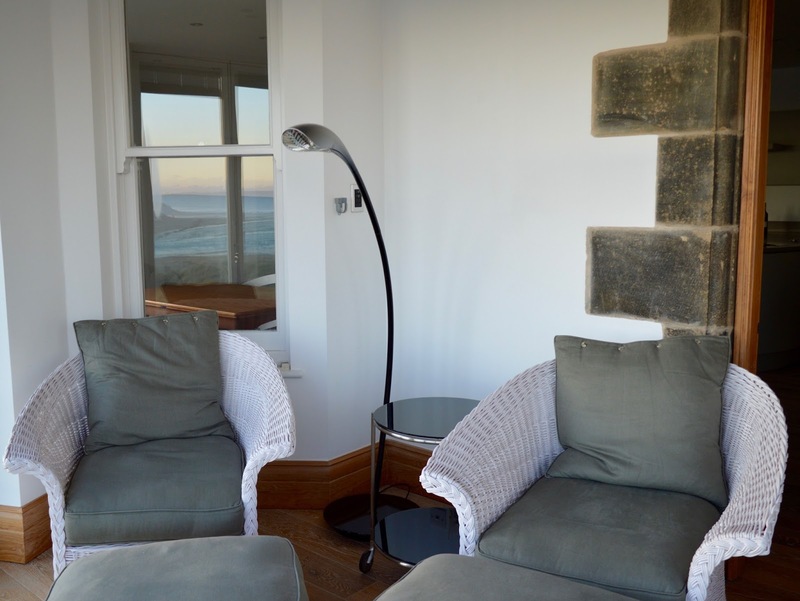 South View House is available to book for long terms lets, holidays and short breaks via Walton Robinson. Contact Chris@waltonrobinson.com for availability, booking enquiries and last minute deals. Walton Robinson guarantee you will always get the best price when booking with them. 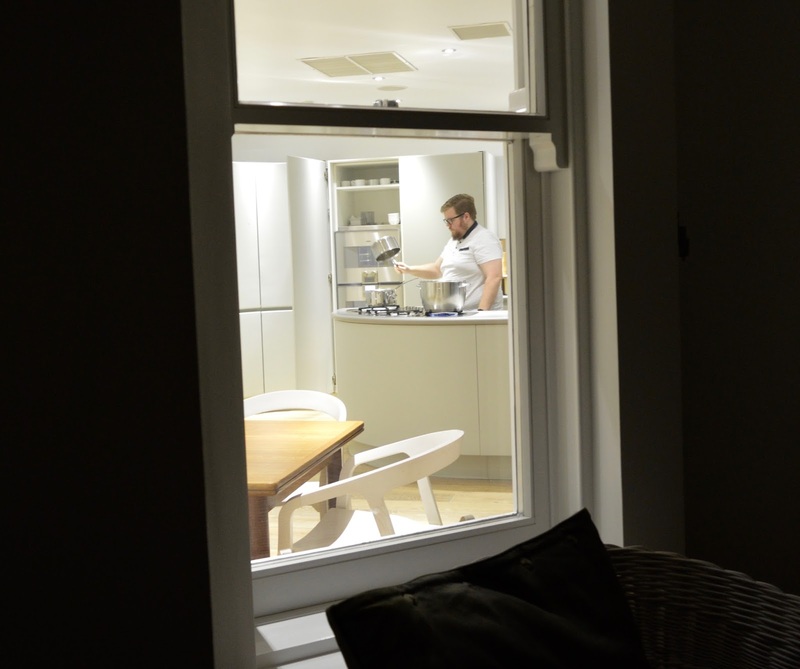 Find out more about hiring South View House here.